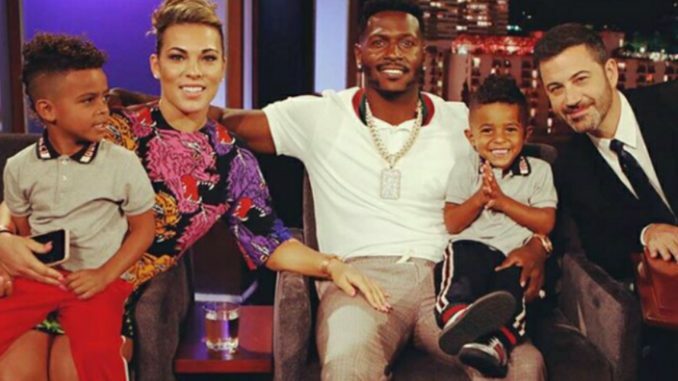 UPDATE: Remember When NFL Player Antonio Brown BLASTED His DEADBEAT BABYMAMA, Said She Hasn’t SEEN HER KIDS In 4 Years? Looks Like He Bought Her A Bentley & Got Back Together! 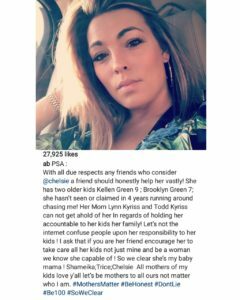 Remember last month when NFL player Antonio Brown blasted his baby mama as a deadbeat mother who only takes care of their 3 kids and not her other 2 from a previous relationship? And how she chases him everywhere and needs help? Looks like he bought her a 2018 Bentley and they got over it. He’s even taking her and their 3 children on the road. They posted pics and videos of their loving family of 5 after enjoying a helicopter ride. Antonio Brown, Chelsie and their 3 children on what appears to be a luxury bus.